The towering Volcano Slide is brand new and loaded with the latest water slide improvements! Wave-shaped landing walls and curved pool edge add a real fiery flair! The 52° angle slide leaves the rider screaming...for more! Once at the bottom, relax and splash in the cozy yet spacious landing pool. This isn't just a splash pool, this pool has plenty of space and just the right depth for true enjoyment. The Volcano Water Slide comes with all the bells and whistles. 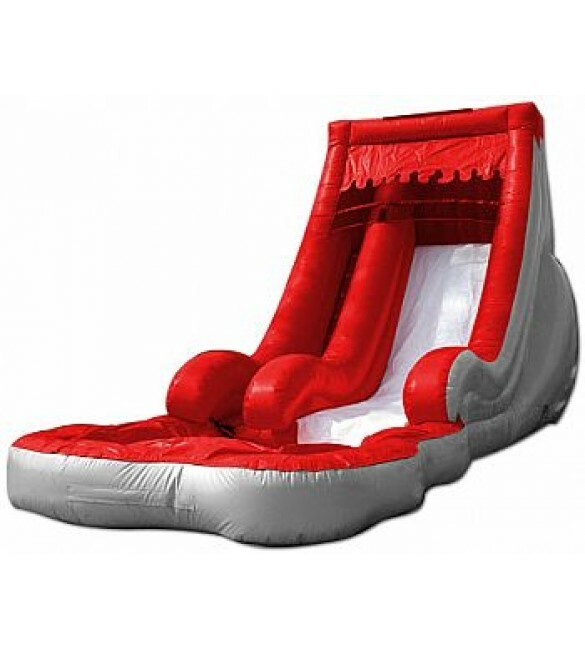 Please note that due to insurance reasons, the Big Volcano Water Slide will need to be picked up before dark on the day of your party.